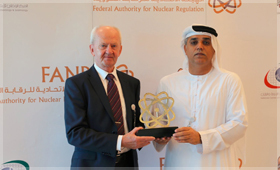 In line with its commitment to cooperate with relevant entities in undertaking its regulatory role, the UAE's Federal Authority for Nuclear Regulation, FANR, has signed a Memorandum of Understanding, MoU, with the National Centre of Meteorology and Seismology, NCMS. 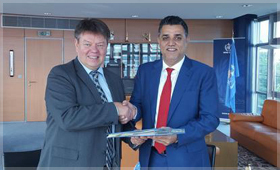 Mr. Petteri Taalas, Secretary-General of the World Meteorological Organization, and H. E. Dr. Abdullah Ahmed Al Mandoos, Director of the National Center of Meteorology and Seismology of the United Arab Emirates, met in Geneva 26th of Septemberto sign the host agreement for the 16th session of Regional Association II. 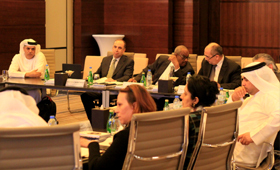 The session will take place in Abu Dhabi from 12 to 16 February 2017. His Excellency Suhail Mohamed Faraj Al Mazrouei, UAE Minister of Energy, led a high-level delegation visit to the headquarters of the National Center of Meteorology & Seismology (NCMS) to gain first-hand updates on the UAE’s efforts in driving cloud seeding operations managed by NCMS. 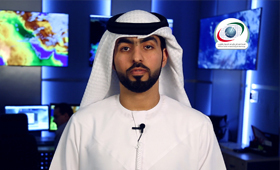 National Centre of Meteorology and Seismology, declared launching of the first professional Arab channel on meteorology on YouTube for unifying reports and avoid rumours circulated by social networking media on the Internet.